Hail Damage Meetings in York and Hamilton Counties. Please click on image to enlarge. 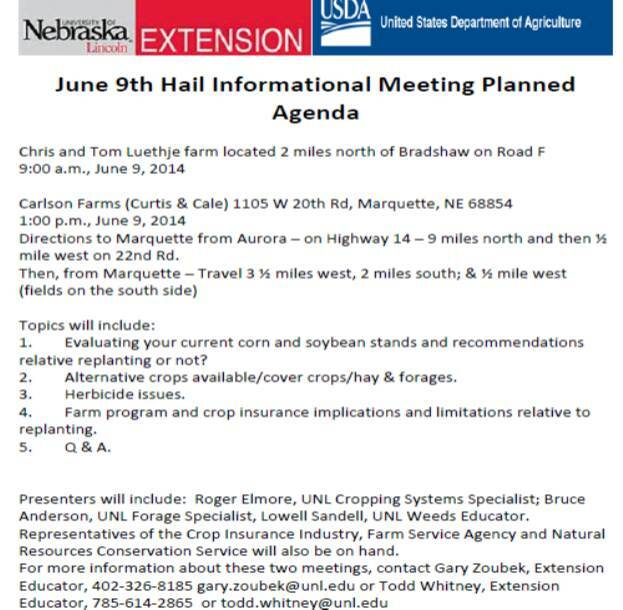 Posted on June 8, 2014, in Crop Updates, Event, Storm Damage and tagged corn, cover crop, Crops, Extension, farm, farming, hail damage meetings, Soybeans. Bookmark the permalink. Leave a comment.